Left to Right: Lucien March, F. A. E. Crew, C. C. Little, E. F. Zinn, H.P. Fairchild, C. Gini, Sir Bernard Mallet, J. S. Huxley, R. Pearl, A. M. Carr-Saunders, B. Dunlop, and J.W. Glover. From the Proceedings of the World Population Conference, ed. M. Sanger (1927). Two days before the opening of the World Population Conference, held in Geneva on August 29 through September 3, 1927, Sir Bernard Mallet, the conference secretary, crossed off Margaret Sanger’s name off the printer’s proof of the conference program. He also crossed off the names of all the women workers, ignoring the months of effort that Sanger and her staff had put into the meeting. Sanger had worked for over a year, fundraising, organizing, drafting programs and locating participants, to bring together scientists from all over the globe to discuss the effects of overpopulation. 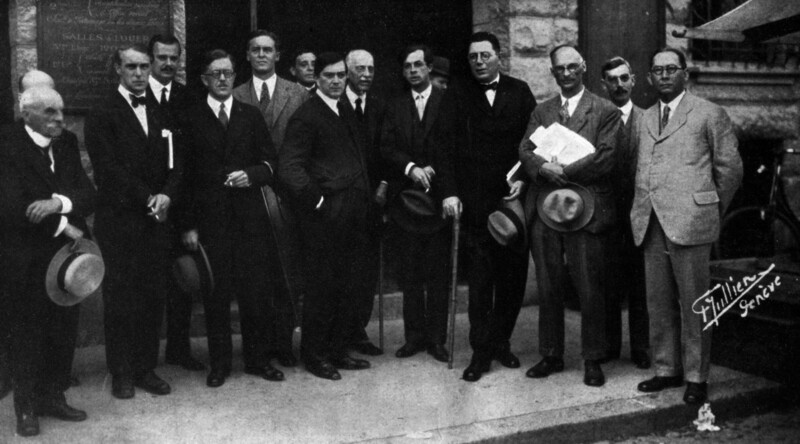 Apparently Mallet feared that if European scientists knew that the meeting was organized by women they might not come. Sanger felt let down by the scientists that she had worked with for over a year, but decided that getting the conference off was more important than getting credit for it. Her secretaries resigned in protest, but Sanger was able to convince all of them save suffragist Edith How-Martyn to return. How-Martyn wrote that she knew that Sanger’s tactic of ignoring the slight was right, and would result in Sanger being “even with the ‘distinguished scientists’ yet and send them back to their flies and mice having been taught how unwise it is to deal unjustly or to scorn a beloved woman.” (MS, Autobiography, 385) Once the meeting was over, Sanger edited the conference proceedings. She organized many more international conferences, and never had to hide her participation again. Why “global women”? If you’ve ever tried doing a Wikipedia search for important women theorists around the world, you might be surprised to note how short the entries are, particularly on their work and their ideas (for example: Chandra Talpade Mohanty, Gayatri Spivak, bell hooks, Gloria Anzaldua, Vandana Shiva, and Sara Ahmed). Many important women of color, such as Oyeronke Oyewumi and Frieda Ekotto, lack entries or stubs in Wikipedia. Additionally, coverage of international events involving women is brief or nonexistent (for example: the 1929 Aba Women’s Riots in Nigeria; Domitila Barrios de Chúngara; and Angkatan Wanita Sedar or “Force of Awakened Women,” an important feminist group in Malaysian history). 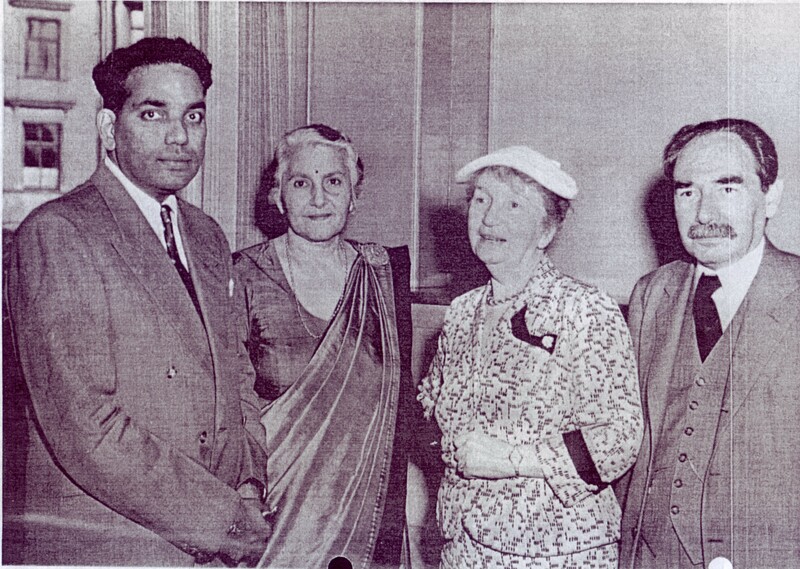 Sripati Chandrasekhar, Dhanvanthi Rama Rau, Margaret Sanger and Abraham Stone (Aug. 1953). (University of Toledo, S. Chandrasekhar Papers). Looking at the history of international birth control, there is a lot of work that could be done. While the entry on Margaret Sanger is lengthy and detailed, it has next to nothing on her work for international birth control and planned parenthood. The entry on Lady Dhanvanthi Rama Rau, the most influential 20th-century Indian activist for birth control and a president of the International Planned Parenthood Federation, is a stub with barely any information. There is no entry for Avabai Wadia, another early leader of the family planning movement in India. Singapore’s Constance Goh Kok Kee, another early activist in the family planning movement has no entry. There is very little coverage of pre-World War II birth control organization on a global scale. Search for the “World Population Conference” and you are directed to the United Nations Population Fund, [note: it has since been edited!] not Sanger’s groundbreaking meeting. There are no entries for the seven International Neo-Malthusian and Birth Control Conferences held in Paris (1900), Liege (1905), Hague (1910), Dresden (1911), London (1922), New York (1925) and Zurich (1930). Sanger organized the New York and Zurich conferences and published the proceedings. There was no entry for the Birth Control International Information Centre until we created one today (it is under review at this time). The BCIIC, which flourished from the late 1920s until World War II, and was organized by Sanger and others to build a global community movement. 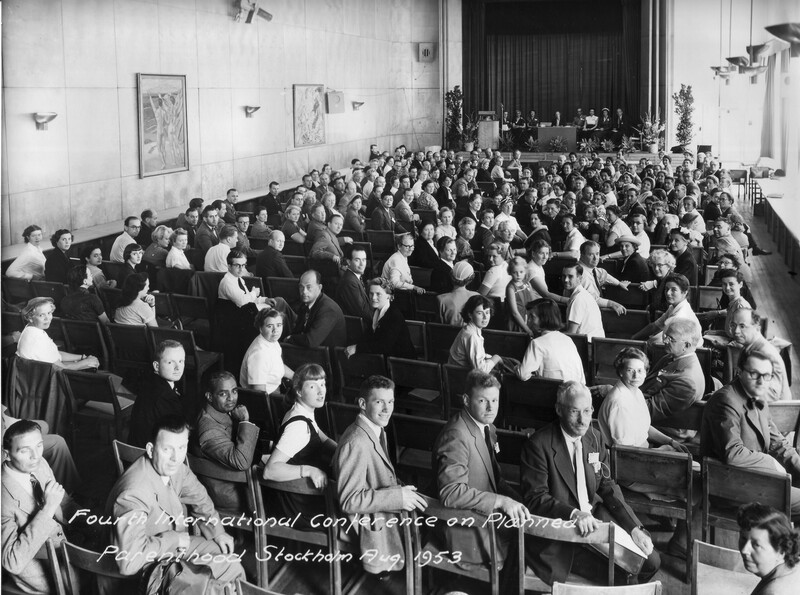 Audience at the Third International Conference on Planned Parenthood (Stockholm) shows a mix of men and women in attendance and on the dais. It does not get much better after World War II. The entry for the International Planned Parenthood Federation (IPPF), founded in 1952 and operating for sixty-one years, is extremely short and superficial. There are no entries for the series of International Conferences on Planned Parenthood held by the IPPF in Bombay (1952), Stockholm (1953), Tokyo (1955), New Delhi (1959), or the regional conferences [we addressed this on Friday] Most of the entries on national family planning organizations that affiliate with IPPF are missing, and those that do appear are short and perfunctory. Wikipedia is the go-to source for the younger generation, for students preparing term papers, for the average man or woman confirming a fact or trying to find out information. The lack of coverage is disturbing and needs to be addressed. Enter the Global Women Wikipedia Write-In. Add to a working list of Wikipedia entries that need editing or improvements. You can comment or edit the list directly. Sign up for a Wikipedia account. Tweet what you do using the Twitter hashtag #GWWI. We’ll be participating on Friday, April 26th from 1-3PM, and hopefully, can expand the coverage of one of the twentieth century’s most significant social movements. Join us! Thanks! Will update with the results of our efforts on Friday. Addressing the issue of women whose voices have been hidden is so important. History is so unbalanced. Boy, two hours goes by fast when you are adding citations! I added some basic information on the World Population Conference and some of the International Planned Parenthood Conferences, and will have to go back later to fill in details.